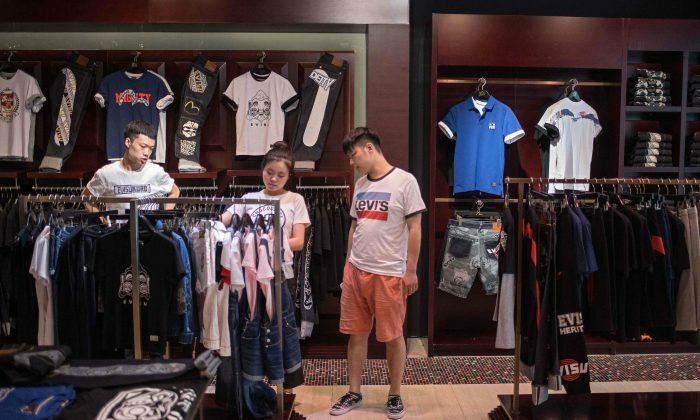 BEIJING—China will cut import tariffs on a range of consumer items including apparel, cosmetics, home appliances, and fitness products starting from July 1, the State Council, equivalent to the cabinet, said on May 30. The decision, which was announced after a state council meeting led by Chinese premier Li Keqiang, aims to further open China’s consumer market, the central government said in a statement. Import tariffs for apparel, footwear and headgear, kitchen supplies, and fitness products will be more than halved to 7.1 percent from 15.9 percent, with those on washing machines and refrigerators slashed to just 8 percent, from the current rate of 20.5 percent. Tariffs will also be cut on processed foods such as aquaculture and fishing products and mineral water, from 15.2 percent to 6.9 percent. Cosmetics, such as skin and hair products, and some medical and health products, will also benefit from a tariff cut to 2.9 percent from 8.4 percent, according to the central government’s official website. It did not give details of what medical and health products were covered. On May 30, China’s commerce ministry said the U.S. trade delegation had arrived in Beijing and teams from both countries would discuss coming up with a consensus over the next few days. The United States recently announced it would go ahead with imposing 25 percent import tariffs on Chinese tech goods, as punitive measures against the Chinese regime’s intellectual property theft practices. In December, China cut import taxes on almost 200 consumer products including food, health supplements, pharmaceuticals, garments, and recreational goods to 7.7 percent, on average, from 17.3 percent, according to the finance ministry.